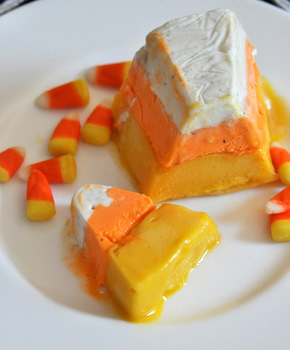 This candy corn terrine is so cute that it really wouldn't matter much what it tasted like, it would probably have to make an appearance at Halloween dinner anyways. But when you take into account that there is ice cream, sherbet, AND gelato, that pretty much seals the deal. You can get the candy corn terrine recipe over at Baking Bites.